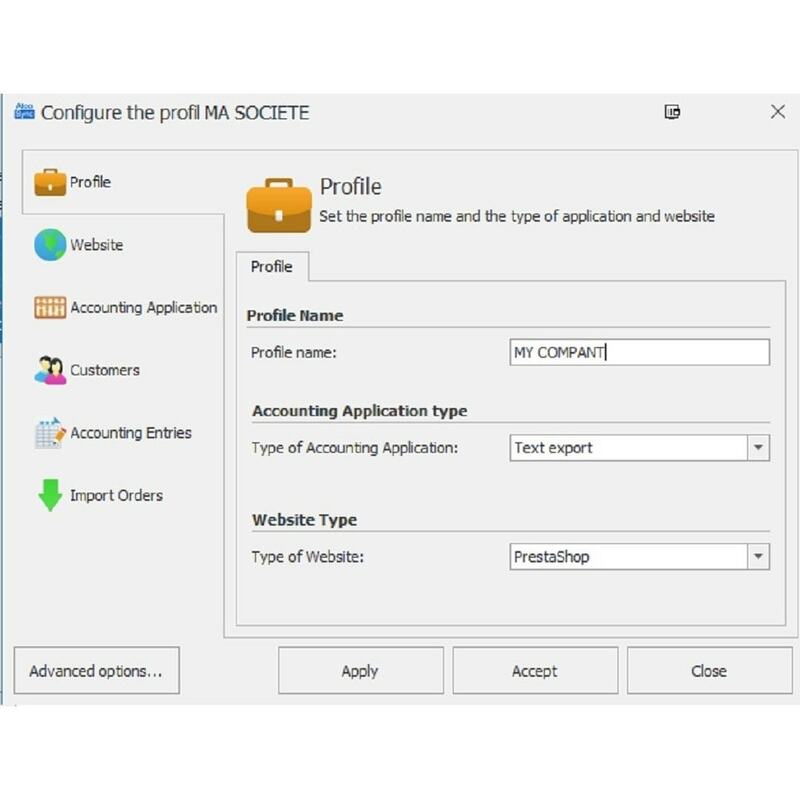 Pack Starter allows you to import up to 2,000 documents (sales or credit notes) into your Accounting software : Sage - Ciel – EBP – Cegid – Winfic … accounting software. Stop to re-entry ! Focus on your business ! No more re-entry ! Atoo-Sync imports sales, credit notes and settlements. View writes before import for check. With this module your customers will be able to save their shopping carts in your shop. Saved carts can be recovered as many times as need from the customer account. Incompatible with all applications managed in Cloud as "Sage one - Sage 50c Données Mobiles" or PrestaShop Cloud. You take care of your customers. Atoo-Sync does the rest. Possibility to test before buying. Free trial version included 100 documents to import. 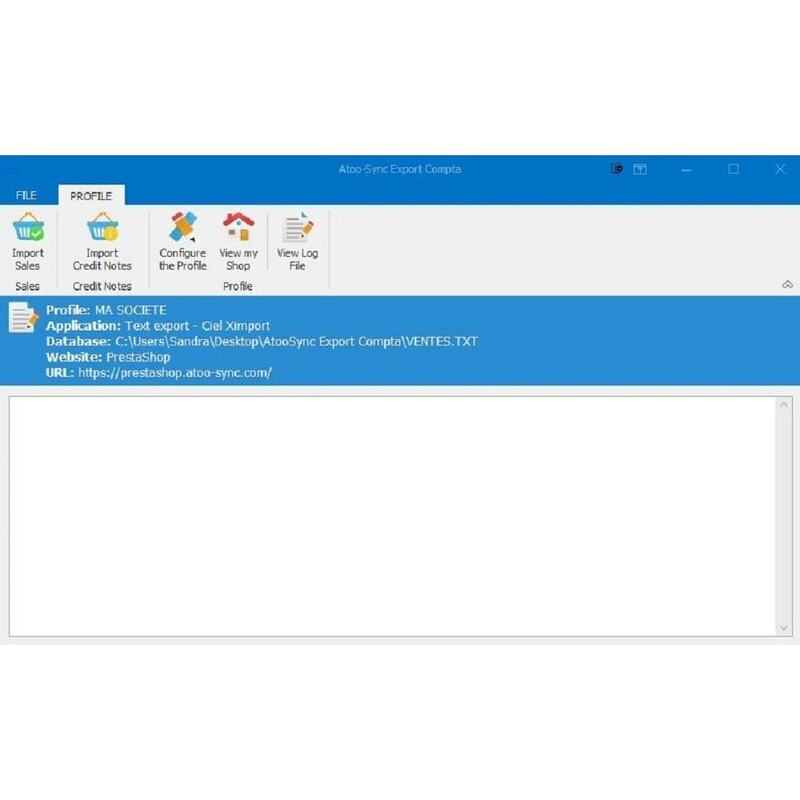 Atoo-Sync Export Compta - Pack Starter included 2 000 documents. This pack is valid for 12 months date of purchase or within the limit of the number of documents composing the pack. - Installation on PC or Windows server only. 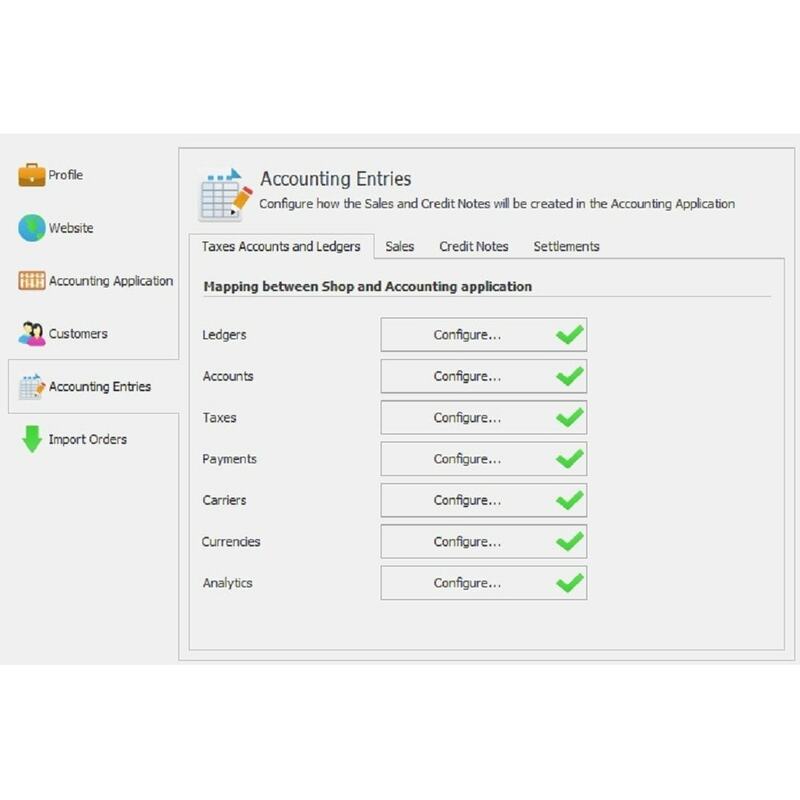 Sage 100 Accounting: from versions i7 v8 to Sage 100cloud v.3. For other accounting formats: we ensure compatibility after validation by our technical department.